In his endless search for culinary pleasure, love at first bite struck Jeffrey Saad at a little French bistro in San Francisco over foie gras and a glass of Sauterne. According to Saad, this was the first time he experienced the “ah ha” of what a true wine and food match can do. Saad, runner up for the Next Food Network Star Season 5, shared his most unforgettable food and wine pairings, while providing attendees with some simple, memorable tips for finding the perfect match in their own pursuit of culinary delights. 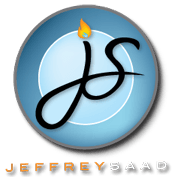 Saad is a 25-year culinary entrepreneur who just launched “Cooking Without Borders Spice Blends,” available at jeffreysaad.com and will soon publish his first cookbook. Saad is also a restaurateur and the spokesperson for the American Egg Board. • For foods higher in fat choose wines with higher acidity, such as Yealands Sauvignon Blanc. Like lemon on fish, the acidity cuts through the fat and the flavors of the food and wine come through. • If food is salty, the saltiness will exaggerate the alcohol in wine so choose wine with lower alcohol, such as an off-dry or sparkling wine like Zardetto Prosecco. • For rich protein foods, including steak or duck, serve a wine with tannins. The protein will soften the tannins and the fruit will come forward. A good example is High Note Malbec with duck or Root:1 Cabernet Sauvignon with Kobe beef strip. • Spicy food accelerates the tannins in wine so go with an off-dry or fruity wine, such as Clean Slate Riesling from Germany. • Creamy cheeses will wipe out the tannins in reds and leave the wine flat. Instead serve a sweet white or a white with firm acidity such a Tilia Torrontes. To read Saad’s food and wine pairing guidelines in full go to jeffreysaad.com. Saad concluded with “wines to the rescue” what he considers to be the most food friendly wines: Barbera, Rosé and Champagne. The Barbera grape, although red, has an abundance of firm acid and bright fruit that marry nicely with a wide range of food. A dry or off-dry Rosé will go well with most food because it has enough acid to match the acid in a salad; enough fruit to offset spicy food; and just enough tannin to stand up to most protein. Finally, the low alcohol and high acidity of Champagne make it a perfect choice for most meals.